In the “Not done with jMonkeyEngine” corner there are also some interesting news. Just found this nice looking Voxel world demo by Evan Todd. (Click the link for beautiful screenshots.) I think the project is called Lemma, and it’s targetting the PC and Xbox crowd. It’s really cool to see how people get inspired by the voxel concept and make it look better and better in each iteration! (I’m beginning to think this blog needs a “Voxel<3" tag...) Lemma uses less repetive textures than other voxel engines, I don't know what exactly he did... Possibly he created geometries out of voxel surfaces, and used large procedural textures on the whole chunk? I need to try that myself to see how that performs... I assume that Evan uses the Lemma world as backdrop for this Parcour Ninja game. The question should not be “how many shiny graphics techniques can I incorporate?”. It should be “how easy is it to create content for this game?”. […] I didn’t really take advantage of [the audio] features, because it was a pain. I got away with the bare minimum. […] Suddenly I’m adding new sounds, playing with the settings, and actually enjoying it. What changed? […] The tool made the difference. It made it easy for me to go in and control sounds without writing code and recompiling. Now there will be a lot more variation in the sound, because it’s so easy to do. 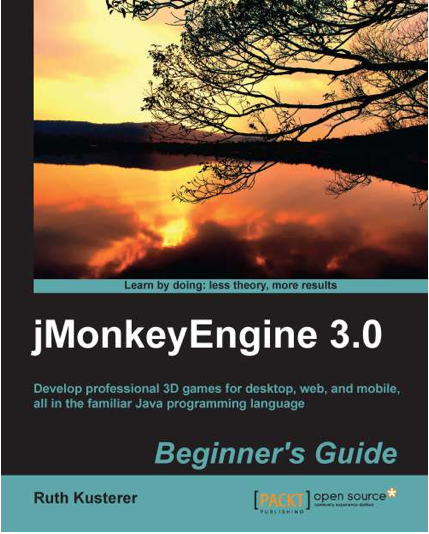 Although the jMonkeyEngine SDK is no drag&drop “GarageBand” for game developers (where every chord is so restricted that it magically falls into place), it has sped up the development process drastically compared to jMonkeyEngine 2. No more worrying about classpath and build scripts and asset paths and packaging of the executable… No more switching between web browser and code editor for javadoc, code samples, or API details… Common tasks like converting, laying out, and previewing scenes is a context-menu away. When I started with jme1 and jme2 four years ago, I spent most of time figuring out the back-end. In jme3, I create a new game project and focus on my game content right away. That’s what a good tool should do.